Artichokes are spectacular! Their green or purplish leaves, spikes, hearts, and stems are a great study for a beginning food photographer! 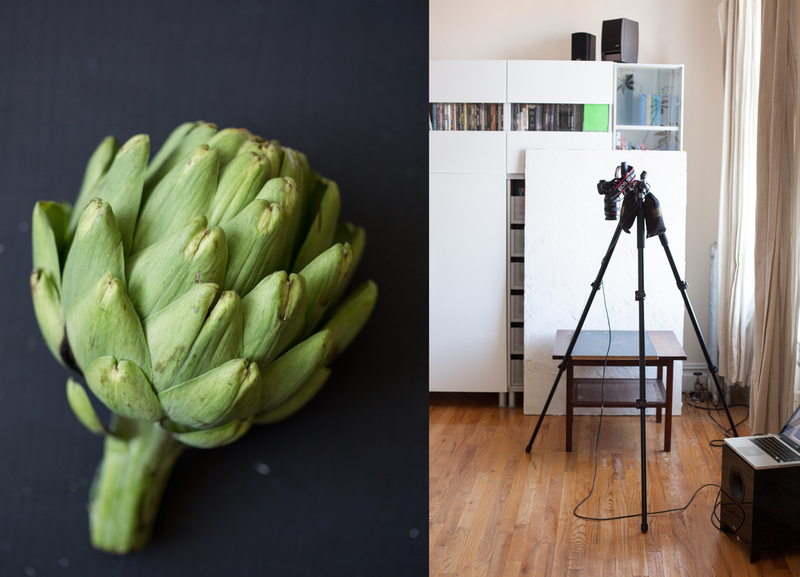 Learn how to shoot an artichoke. Photographing Food With Flash, Really? Speed lights are a good option when daylight is not reliable or available for your food photography shoot. Read more how to set-up your speed lights for food photography.